Association of Legal Entities "Kyrgyz Mining Association"
The Ministry for Investment and Development of the Republic of Kazakhstan is a state authority of the Republic of Kazakhstan leading in the sphere of industry and industry-innovation development, scientific-technical country development, mining-metallurgic complex, development of local content, machine building, chemical, pharmaceutical and medical industry, light, wood-working and furniture industry, construction industry and production of construction materials; machines and equipment safety and safety of chemical products in accordance with field direction; state innovation policy and policy of investments support, creating a favorable investment climate; creating, functioning and abolishment of special economic zones; export control; technical regulation and measuring unity support; mineral resources, except from hydrocarbon crude; state geological study, reproduction of mineral-raw materials base, rational and complex subsurface use, state management of subsurface use in parts of groundwater and therapeutic muds, hard commercial minerals, except from uranium and coal; energy saving and increasing of energy effectiveness of the tourist activity, realization of state policy of investment support; in the spheres of railway, automobile, internal water transport, trade sailing, in the field of use of air space of the Republic of Kazakhstan and activity of civil and experimental aviation, auto roads; industry safety; communication, informatization and «E-government», information; space activity. The Republican State Institution "Committee of Geology and Subsoil Use of the Ministry of Investment and Development of the Republic of Kazakhstan" is a department of the Ministry of Investments and Development of the Republic of Kazakhstan, which exercises regulatory, implementation and monitoring functions, as well as participating in the implementation of the strategic functions of the Ministry in the areas of state geological studies, development of the mineral reserves base and integrated use of mineral resources. The Subsoil Use Department is a structural subdivision of the Ministry of Investments and Development of the Republic of Kazakhstan. The main task of the Department is the formation and implementation of state policy in the field of subsoil use in groundwater, therapeutic mud, solid minerals, with the exception of uranium and coal. The Department of Technological and Innovation Development is a structural subdivision of the Ministry of Investment and Development of the Republic of Kazakhstan, which provides guidance in the field of industrial-innovative and scientific-technological development. of Canada and Eurasia. 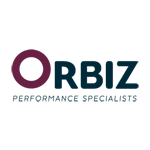 CERBA is a unique not-for-profit organization having a network of over 180 corporations. To meet the dynamic needs of its growing membership it has established seven chapters located in Toronto, Montreal, Ottawa, Calgary, Vancouver, Moscow and Almaty. As an association, CERBA provides an extensive network of contacts in the private and public sectors with frequent events, informative seminars on pertinent topics in the Eurasian market, a bi-annual business summit, a quarterly printed Newsletter, committees of the Canada-Russia Business Council (CRBC) and Kazakhstan-Canada Business Council (KCBC), and annual trade missions. 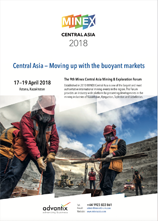 Additionally, CERBA provides market intelligence, advocates with the Canadian and Eurasian government on key issues, and manages active sector-based committees to promote partnership between CERBA members and their counterparts in Eurasia. The Association of Mining and Metallurgical Enterprises (AGMP) was established in 2005 by initiative of the mining sector of the Republic of Kazakhstan with support of the sectoral ministry. The Association has been accredited in the National Chamber of Entrepreneurs of the Republic of Kazakhstan. 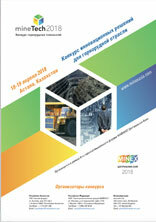 Now AGMP is one of the largest industrial group of Kazakhstan comprising more than 90 companies of metallurgy of ferrous and non-ferrous metals, uranium and coal industry, and, in particular, the Eurasian Group of Companies, ArcelorMittal Kazakhstan JSC, Kazakhmys Corporation LLP, Ust-Kamekogorsk Titanium Magnesium Integrated Plant JSC, Kazatomprom NC, Bogatyr Komir LLP, Rio Tinto and etc. We see our mission in protection of rights and legal interests of member companies of the Association ensuring an open and constructive dialogue between state authorities and business community. 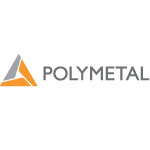 AGMP aims at consolidation of efforts for private entrepreneurship development in the mining and metallurgical complex of Kazakhstan based on the socially responsible business principles. 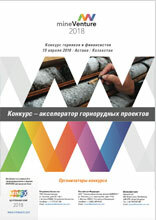 The objective of the activity of the Association of Legal Entities "Kyrgyz Mining Association" (ALE KMA) is to promote the work of subsoil users, starting from the stage of searching for an investment object in the mining sector of the Kyrgyz Republic and determining the optimal investment object prior to the exploration stage and subsequent development of mineral resource accumulations, up to the reclamation stage. 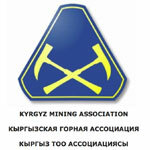 The ALE KMA was re-registered in 2016 on the basis of the Kyrgyz Mining Association which was established in 1996 and took an active part in the development and reform of the legislative base in the field of subsoil use, has a rich work experience and, most importantly, unites the intellectual resources of numerous members of the Association. The ALE KMA is created to ensure mutually beneficial cooperation between the state agencies of the Kyrgyz Republic, investors and the professional community of geologists and mining engineers. In addition, the Association participates in reforming and improving the legislative and regulatory framework for subsoil use to apply the best international practices in the Kyrgyz Republic. The Kyrgyz Mining Association is the connecting tool of investors with state bodies, and also represents the common interests of subsoil use subjects in the Kyrgyz Republic. Memorandums on cooperation with the Jogorku Kenesh of the Kyrgyz Republic, with the State Committee for Industry, Energy and Subsoil Use of the Kyrgyz Republic (SCIES), with the associations of Russia, Kazakhstan, Mongolia were signed. Under the guidance of the KMA, the Strategy for the Development of the Mining Industry for 2013-2035 was developed for the Government of the Kyrgyz Republic in 2013. KMA actively participates in the development of the Strategy for Sustainable Development of the Kyrgyz Republic (2017-2018), made a number of significant amendments to the Law on Subsoil. 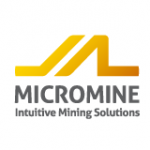 The Kyrgyz Mining Association is making an active effort to become a full member of international group of independent expert organizations in the near future in the field of publication of reports on the results of the exploration and evaluation of CRIRSCO resources (tripartite Memorandum between CRIRSCO, SCIES, and KMA on 31 October 2017 in Jakarta has been signed). KMA initiated the establishment of the Kyrgyz Society of Subsoil Experts (KSSE, registered in April 2017), initiates the development of the Mining Code and a number of regulatory documents. KAZRC Association was established in accordance with the requirements of CRIRSCO regarding national organizations for public reporting (NROs) that represent particular states or regions. 1. NRO shall establish a Code of standards for public reporting compatible with the CRIRSCO Template and shall be responsible for maintaining it. The Code of standards must be recognized in the country/region as the standard for public reporting, or have broad support from professional organizations. 2. NRO shall pursue international consultations with other members of the CRIRSCO before amending national or regional standards of reporting. 3. 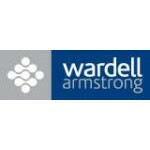 NRO shall admit to its members trusted professional self-regulatory organizations with robust disciplinary systems and codes of ethics that govern the behavior of competent persons as defined in the CRIRSCO Template. 4. NRO shall demonstrate commitment and participate in the activities of CRIRSCO. Association of public reporting of exploration results, mineral resources and mineral reserves – KAZRC Association was established on October 15, 2015. 4. Representation of the Republic of Kazakhstan in CRIRSCO Committee. 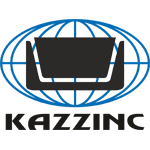 With regard to the planned move of the Republic of Kazakhstan to the international standards of geological reporting, the Code of Public Reporting on Exploration Results, Mineral Resources and Reserves of Kazakhstan (KAZRC Code) was developed; The Professional Association of Independent Experts in Subsoil Use Public Association (PONEN) was established on November 25, 2015. 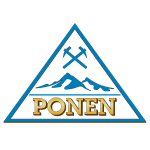 PONEN establishment is an important step to integrate the mining and geological industry of the Republic of Kazakhstan into the global mineral and raw materials complex. 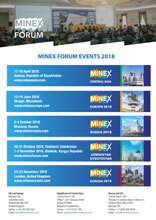 In the future, it will definitely contribute to harmonization of the state interests and subsoil users interests and will improve investment appeal of the fields of Kazakhstan. 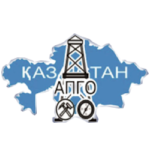 "Association of Geological Servicing Organisations of the Republic of Kazakhstan" is based on voluntary membership, non-profit association of legal entities engaged in geological exploration and related activities. The Association was established in 2005. To date, it includes more than thirty service geological organizations active in the field of state geological study of subsurface resources and a variety of geological services. As a whole, the Association unites about 14 thousand geological specialists. The Association cooperates with state bodies and other organizations in the area of upholding the rights of its members and observance of legislative and professional standards in the context of planning and conducting competitive procedures for state exploration of subsurface resources, as well as providing services.